We're so happy for you, Wil! 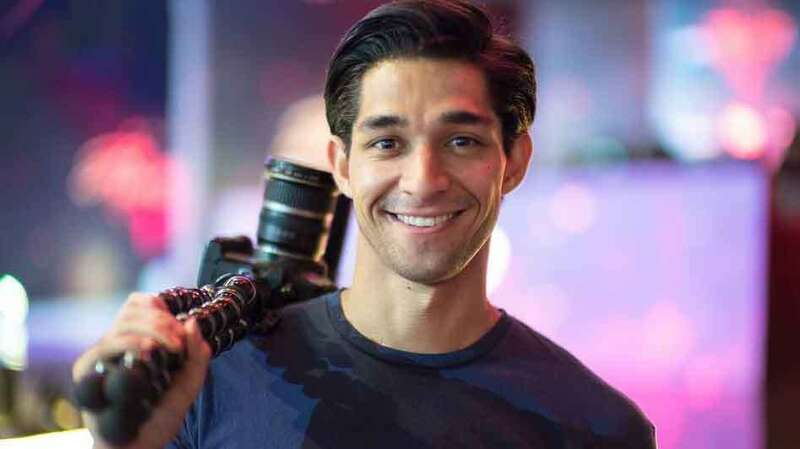 Vlogger Wil Dasovich announced on Saturday, February 3, 2018, that he no longer needs to undergo treatment for cancer. The good news was made through a vlog entry titled "Life Determined by a Phone Call (EMOTIONAL)," posted on his official YouTube page. "Less than six months ago, I began one of the biggest challenges of my life. Literally, the challenge to keep my life and stay alive as I was diagnosed with stage 3 colon cancer. Of course, this came as a complete shock to me, being a young and fit health fanatic at 25 years old. At my age, only 0.000005 percent of people will get diagnosed with what I have. And it had to come at such a compelling time in my life, with all the endorsements and awards. And more than anything, I felt like I had actually fallen in love for the first time in my life with someone whom I had only just recently met." At this point, the video shows cosplayer and fellow vlogger Alodia Gosiengfiao. The video continues to show a series of adventures and challenges that Wil went through as he was undergoing treatment in the United States. It also shows him bonding with his family and his close friends, and reuniting with his grandparents, whom he had not seen in four years. Fast forward to two weeks after his last surgery on January 20, Wil is clearly not his usual sprightly self, as he tells his viewers what he was going through: "Painfully waiting for the pathology results, where they just analyze everything that they took out of me: the tumor, the lymph nodes. And if the results don't come back negative, I just don't know what's next because I already completed treatment, so it's like, what more can you do at this point? And this phone has just been haunting me this entire week." The next part of the video opens with the emotional phone call, which he made in the company of his sister, Haley Dasovich, and his mother, Charry Dasovich. The medical professional on the other end of the line explains that "There's a little bit of residual cancer left," but the 25 lymph nodes removed from him "were all negative." The medical professional adds, "This is good. This is a good outcome because all the lymph nodes are negative. You know, I’m not the oncologist, but certainly the read would be [that] there would be no need for any further treatment." Upon hearing this, Wil turns to his sister and breaks down in tears. "At this point," she continues, "You would be just under surveillance. Then, we kinda check on you for any recurrence." She adds, "It’s very good news. Congratulations, Wil." "Life is filled with ups and downs, and part of living is finding a way to get past as many obstacles thrown on your course. If you find a path with no obstacles, it probably doesn't lead anywhere. We all have our own challenges ahead of us. But it's how you respond to these challenges which will define you. Don't let challenge be the thing that brings you down. Let it be the thing that lifts you up." The video then flashes: "Thank you to everyone who has been a part of this journey. It's finally time to close this chapter and move on to the next one. Onwards and Upwards."